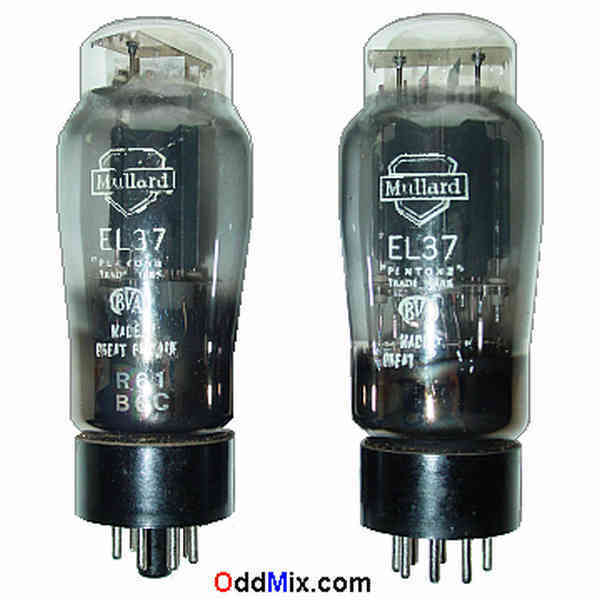 This is a genuine, vintage, British made Mullard BVA EL37 beam power type electron tube. As seen, this second tube has a broken, centering, bakelite key. As a result, it requires careful placement into it's socket, but the tube is fully functional otherwise. A is also available. The price for the extremely rare, working pair is $100 - S/H included. Only one pair available.